invites you to experience a relaxing holiday at our picturesque resort. We're situated in one of Canada's finest hunting regions. You can stalk deer, moose, black bear, and grouse or hunt with your camera and watch how the eagles catch rainbow trout. 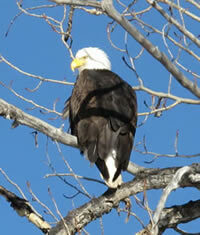 Among the wonderful animals native to the region you may be privileged to see bald eagles, ospreys, beaver and much more. 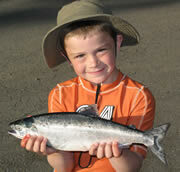 We offer some of the most exciting fly fishing and trolling in British Columbia. We can take you on a guided fishing trip or can teach you the fine art of fly fishing. Kokanee as big as 4lbs! Just think of hooking into beauties like these, while fishing from your Float Tube and the excitement of being pulled along the water while trying to land your catch. Bring the kids for a vacation! There is nothing like the look on a child's face with his catch of the day. What a story he has to tell. design & maintenance Spider WEB Production, © All Rights Reserved.